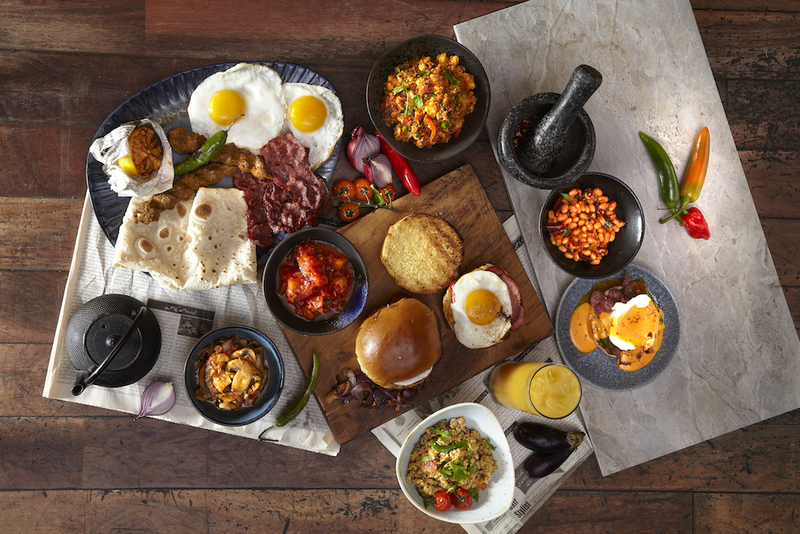 Hold onto your hats because we are super excited to announce we have JUST launched our brand new brunch menu at our Manchester restaurant, offering Nashata, a traditional Indian breakfast available every weekend from 9am to 1pm. Foodie fans can expect authentic recipes cooked up with a modern twist by the brand’s co-founders Tayub & Mudassar Amjad which will include delicious breakfast smoothies, sweet dishes, Desi classics, savoury plates, sandwiches and sides as well as cold drinks and juices. If you’re filling up for a long day you’ll need Zouk’s epic Savoury Plates with hot delicious dishes. 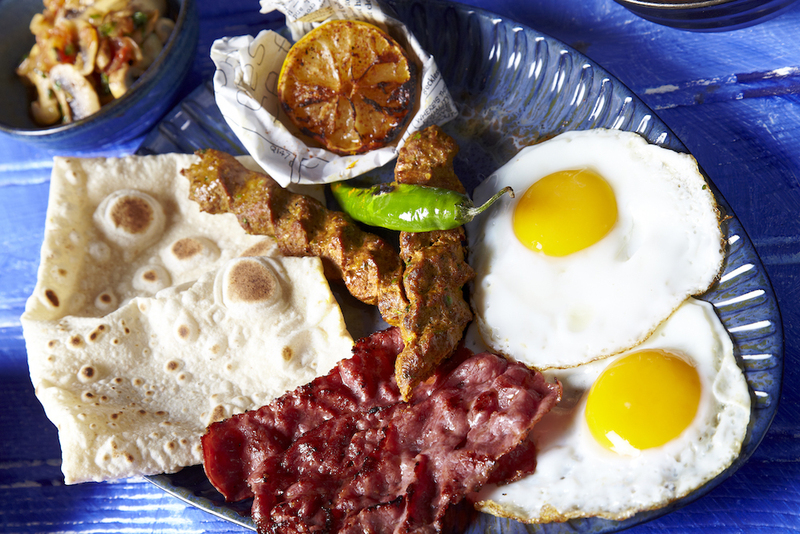 A Maharajas Breakfast is the Indian equivalent to the full English with scrambled or fried eggs served with seekh kebab, turkey rasher, spicy tomatoes, mushrooms, spicy baked beans and kulcha. Paneer Bhurj is a warm and heartening dish. 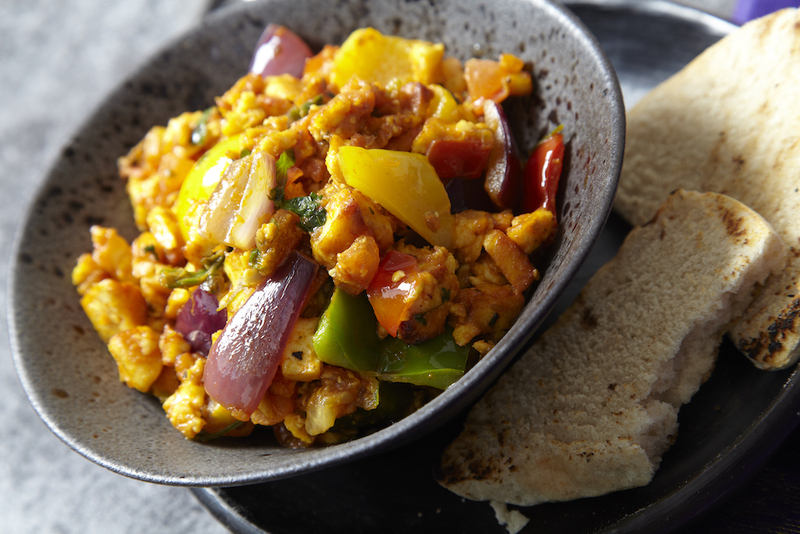 Bhurji literally means scrambled and this tasty breakfast treat is prepared in a way that the flavours of onions, peppers, tomatoes and spices mix perfectly with the paneer cheese. 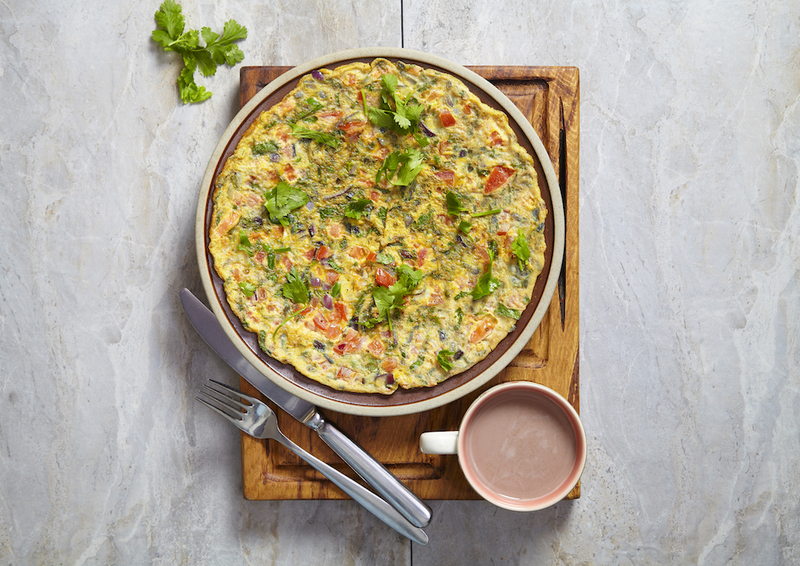 The Masala Omelette adds a spicy kick to the traditional brunch dish with onions fresh green chilli, ginger, coriander and spices to start your morning off with a bang. Spiced Eggy Bread is served up as two slices of fresh bread dipped in spicy eggs and pan-fried with tangy spicy tomatoes. 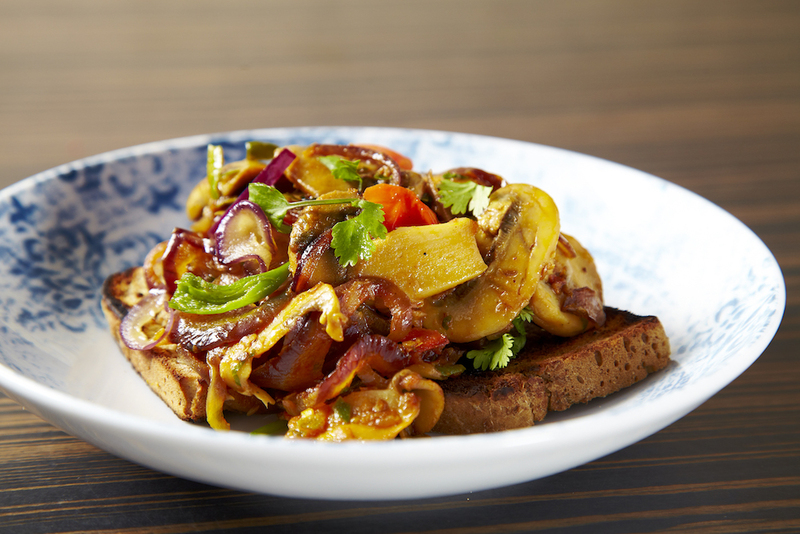 For vegetarians and vegans, fresh Spiced Mushrooms on are cooked with tasty tomatoes and fragrant spices and served on toasted bread. 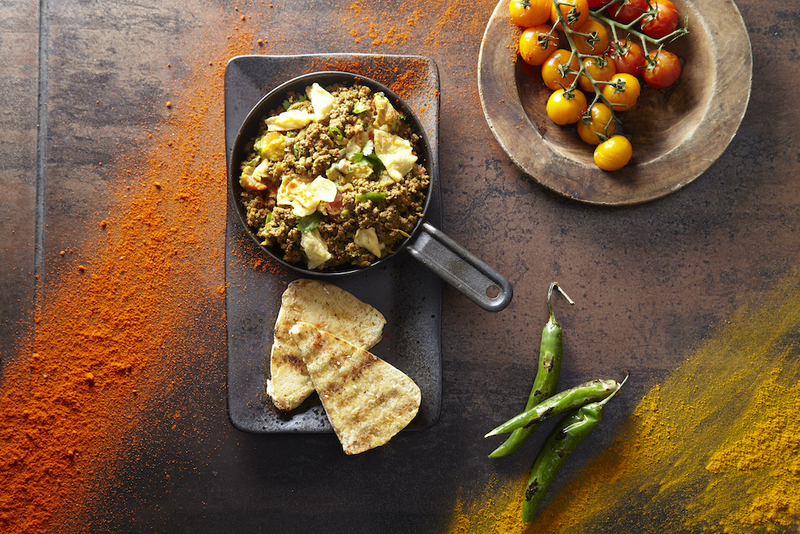 For a sizzling start to your day Spiced Keema & Anda Bhurji is the perfect option with Pan-fried spiced keema topped with scrambled eggs finished off with toast and spicy tomatoes. 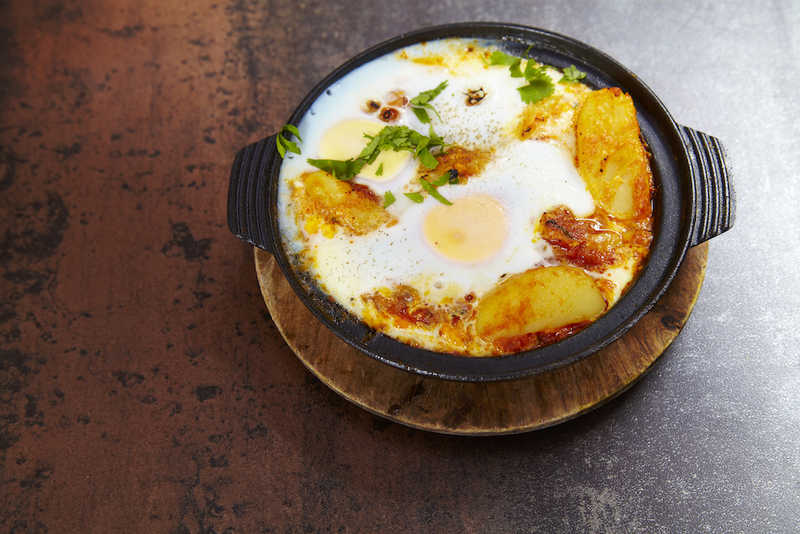 For a classic hearty dish, try the Instagram friendly Bombay Baked Eggs. These moreish baked eggs are prepared with a delicious blend of tomatoes, spinach, potatoes, chilli and spices and then baked in the oven. Don’t worry if you are looking to avoid hot food, the Virgin Eggs and Smoked Salmon are served simply and spice free. Brunch wouldn’t be brunch without a eggs Benedict and Zouk’s is served with an Indian twist. 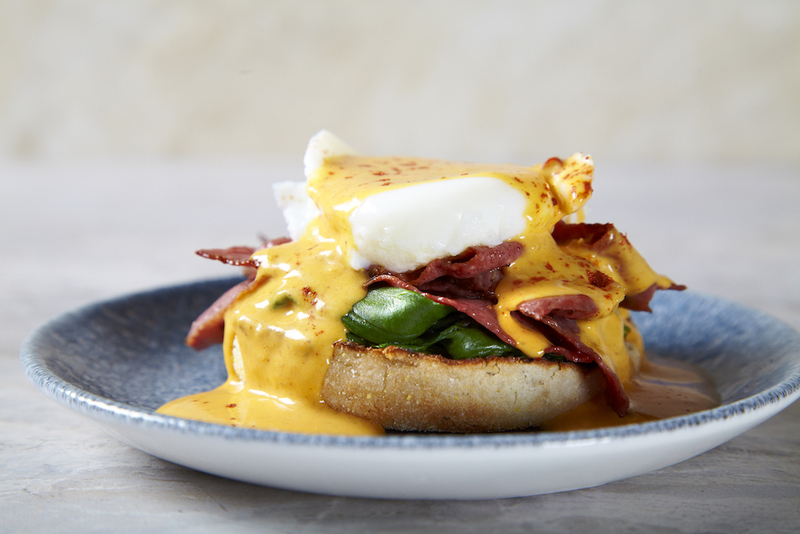 The Bollywood Benedict is served on a freshly toasted muffin and layered up with sautéed spinach, turkey rashers and a perfectly poached egg topped off with a mash up of Hollandaise and tikka sauce. 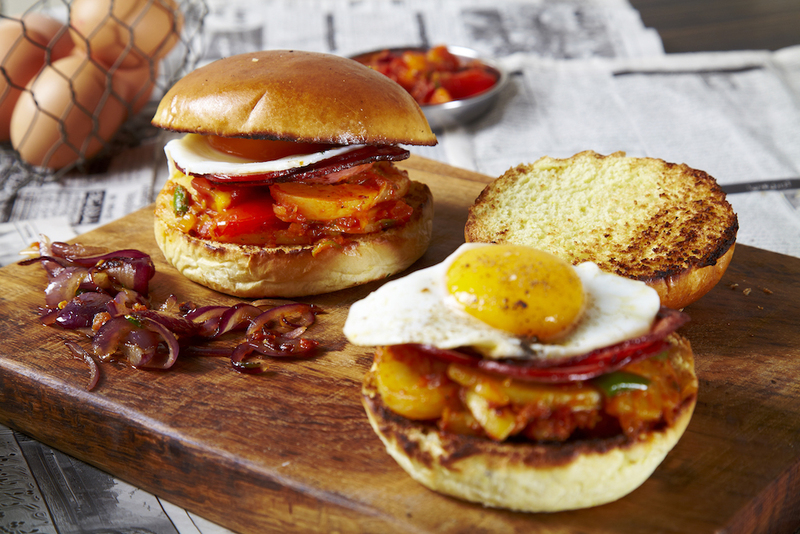 Forget your boring breakfast bap in favour of Zouk’s Mumbai Breakfast Bun of a delicious fried egg sandwich with chorizo and sautéed spicy potatoes served in a brioche bun. 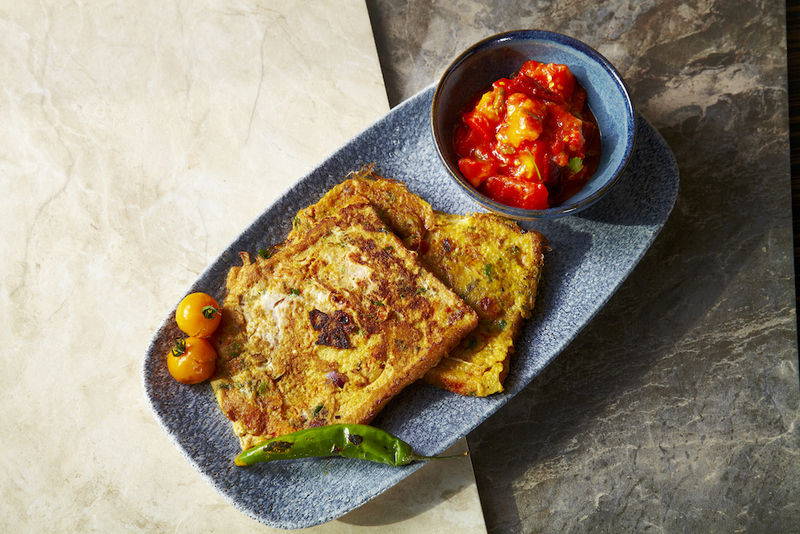 Fans of side dishes £2.95-£3.50 will be pleased to find Indian Kulcha Bread, Toast, Spiced Tomatoes, Mushrooms, Baked Beans and Avocado gracing the Zouk’s new menu. cooked slowly until the meat is tender with a rich & spicy broth plus slow cooked Lamb Nihari, a traditional specialty from Lahore in a thick & spicy sauce. Zouk’s tempting Sweet Dishes will include the freshly baked super moreish Sweet Peshwari Naan with fruit chaat, sweet honey and natural yoghurt. 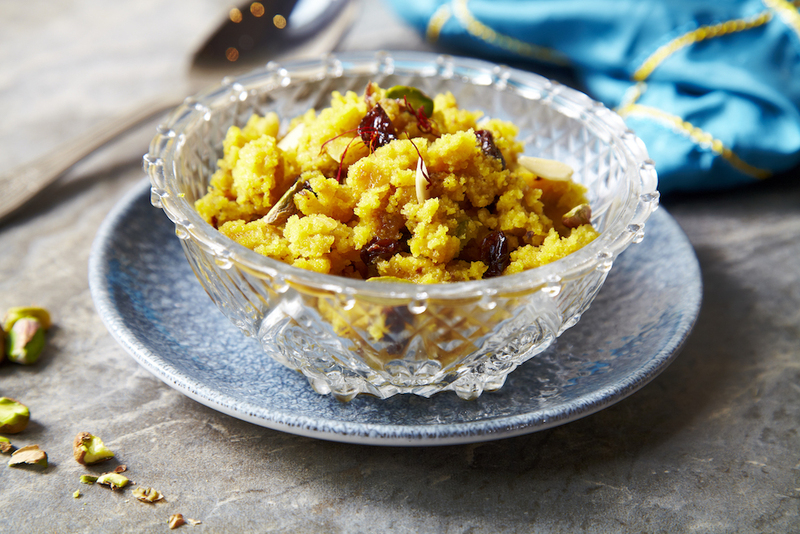 Semolina Halwa is creamy and cooked with flaked almonds, pistachios and raisins, infused with saffron. 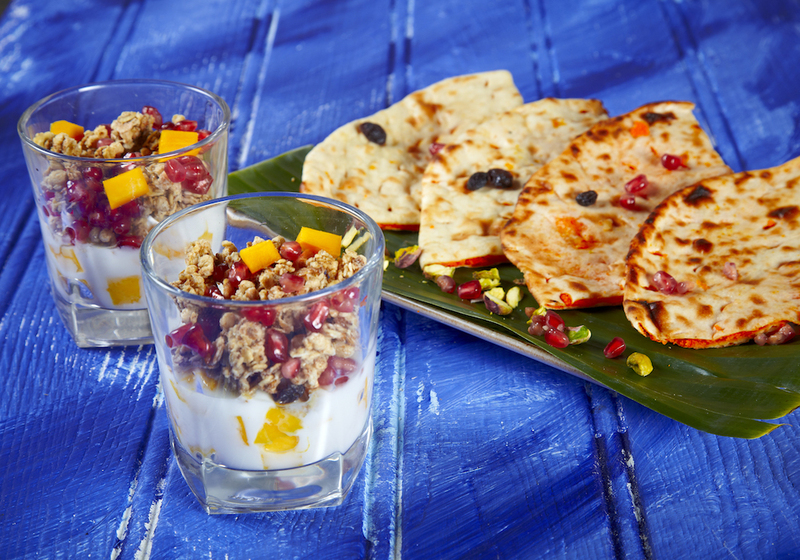 Or look to a lighter option with Yoghurt and Granola with juicy mango and mango puree. 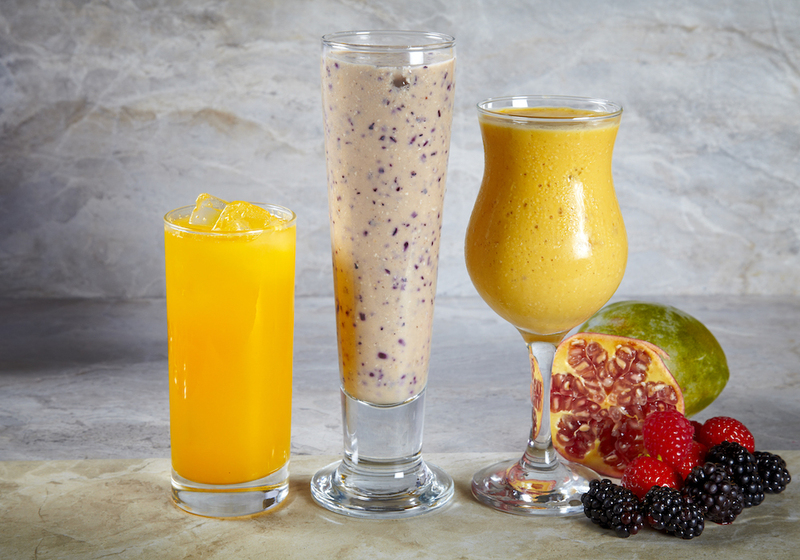 Zouk’s Breakfast Smoothies will be prepared using seasonal fruits and will include Blueberry, Smoothie with banana, cinnamon & oats and a Mango Smoothie with banana & oats. Finish off with hot drinks including Desi and Chocolate Chai. Refreshing cold drinks and juices will include Mango Lassi, Virgin Mary, Bloody Mary & Mimosa.